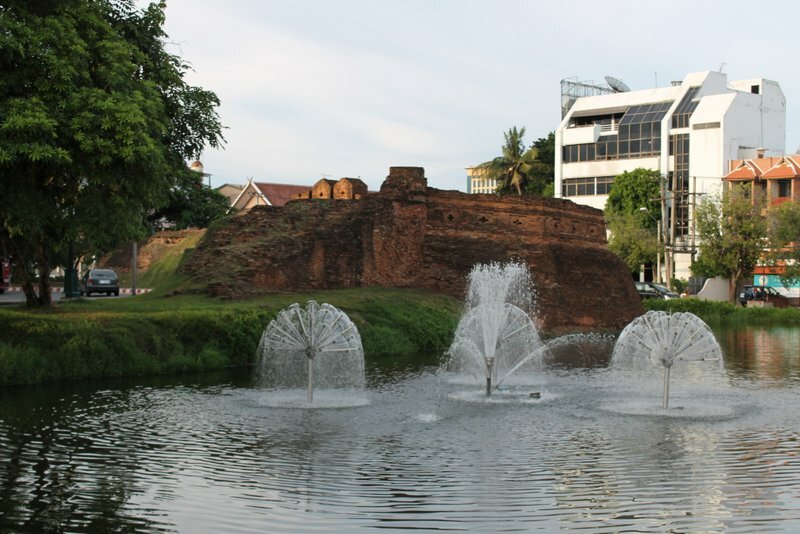 Our plan for coming to Thailand was to spend 6-9 months in Chiang Mai which is in the northern part of the country. After a week in Bangkok and then a week in Koh Samui, we finally arrived in Chiang Mai. Neither one of us had ever been to Thailand, and Chuck had never even been to Asia, so we really didn’t know exactly what to expect upon arrival. 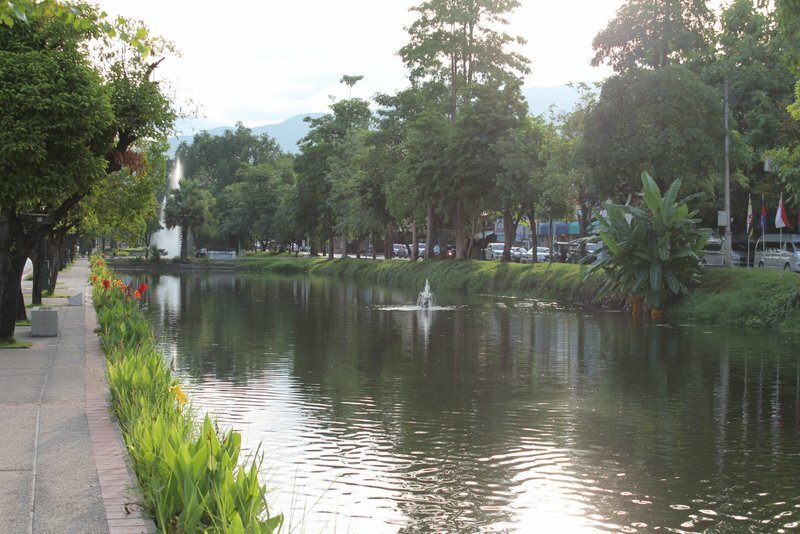 I’d been reading many bloggers over the years that kept saying Chiang Mai was awesome (and cheap! ), there was a ton to do, and they loved it so much they kept returning (or not leaving). We touched down super late at night so it wasn’t until the next morning that we finally were able to explore this new place we planned to call home. My first reaction was… “Well this isn’t what I thought it’d be like”. After hearing it was a city of a million people, I expected a larger downtown with some modern skyscrapers. I thought the roads right outside of the downtown would be better paved and have a city feel as opposed to feeling like we were way out in the suburbs. The air was dirtier than I thought it’d be too. I’d spent 6 weeks outside of Kuala Lumpur, Malaysia, so I expected it to have more modern touches like Malaysia did 18 years ago. I didn’t hate it. But I sure didn’t instantly fall in love with it. (As an aside, I’m happy to report that many months later I do like it here, I’m enjoying its charms and will miss it once our time is done). We decided to spend the first week at a hotel which would give us time to get our bearings and time to house hunt. We stayed at The Castle in 2 adjoining rooms that was an adequate base for exploring the city. We were able to walk to the Old City in 5-10 minutes and our first morning that’s just what we did. After the first day, we went into “looking for a house” mode which involved contacting various realtors, looking at properties online, setting up appointments and then going to look at houses. 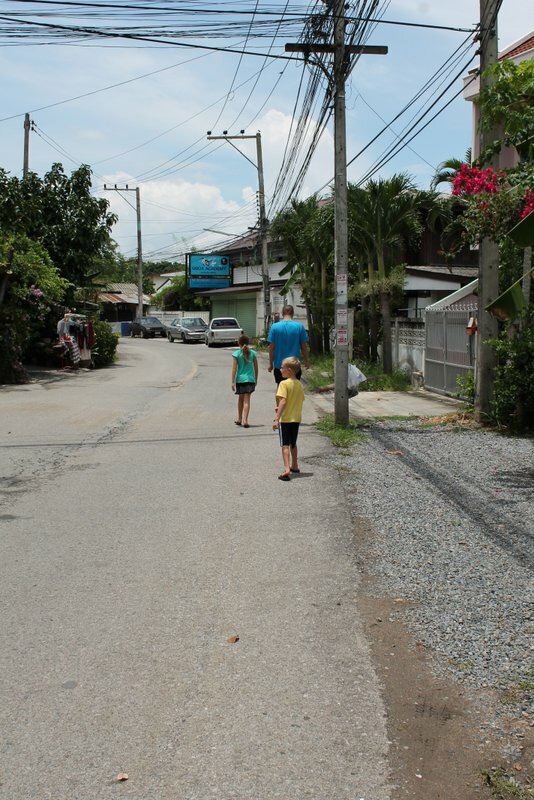 We pretty quickly decided we wanted a house in the suburbs as it would give us more room, we would have a yard for the kids to play in and we’d be around other expat families making it easier for the kids (and us) to make friends (so we believed). We concentrated our hunt to the Hang Dong area South West of the city based on advice we’d received and ended up looking at about 5-6 houses before we found our favorite. We almost didn’t sign the lease though. After a week in Chiang Mai, we still weren’t convinced this was where we wanted to spend our (1/2) year abroad and started thinking that maybe we’d do a month here then move around Asia at a slower pace. 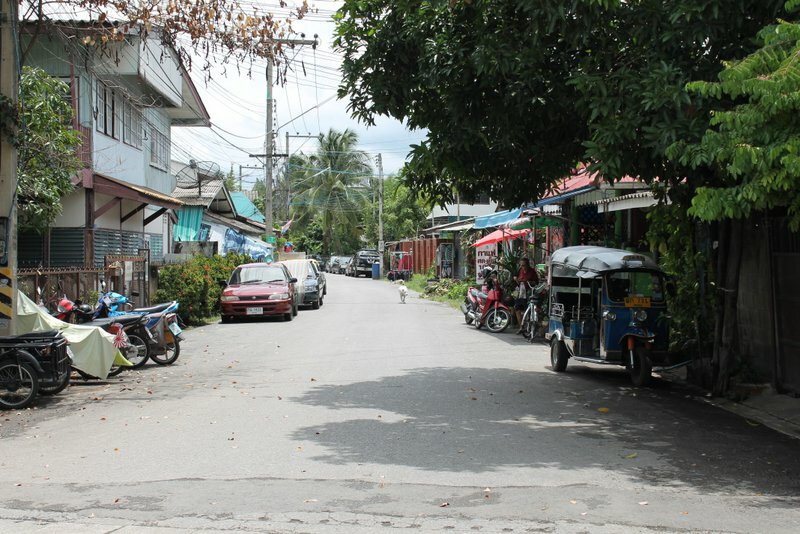 But when the decision time came, we both decided to give Chiang Mai more of a chance and commit to 6 months here. We moved into our nice suburban house 8 days after we arrived in the city. From there, we’ve been busy exploring, settling in, figuring things out, learning, homeschooling and having some fun adventures many of which will be highlighted on this blog.